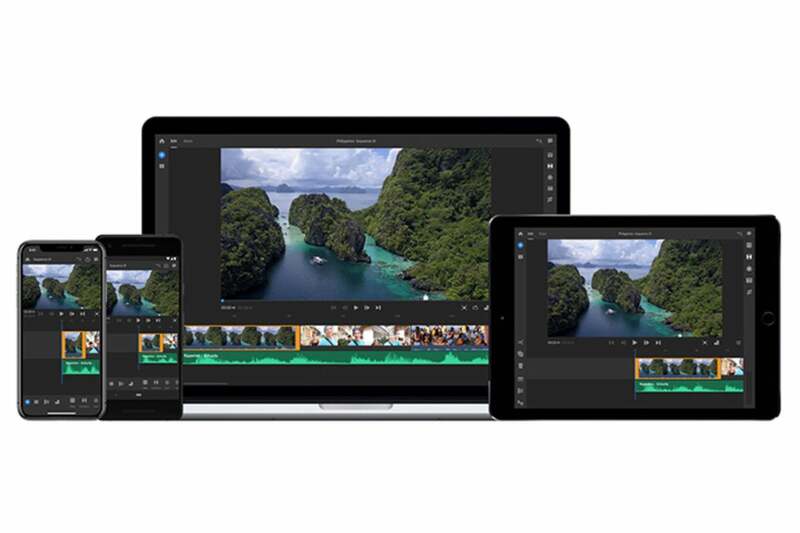 Unlike Premiere Pro, Premier Elements, and Premiere Clip (Adobe’s other desktop and mobile video apps), Rush operates across devices with nearly identical desktop and mobile versions that can save all footage in the cloud. Your movie is accessible anytime, anywhere via an auto sync feature that you can enable if you choose, or you can save your video locally. 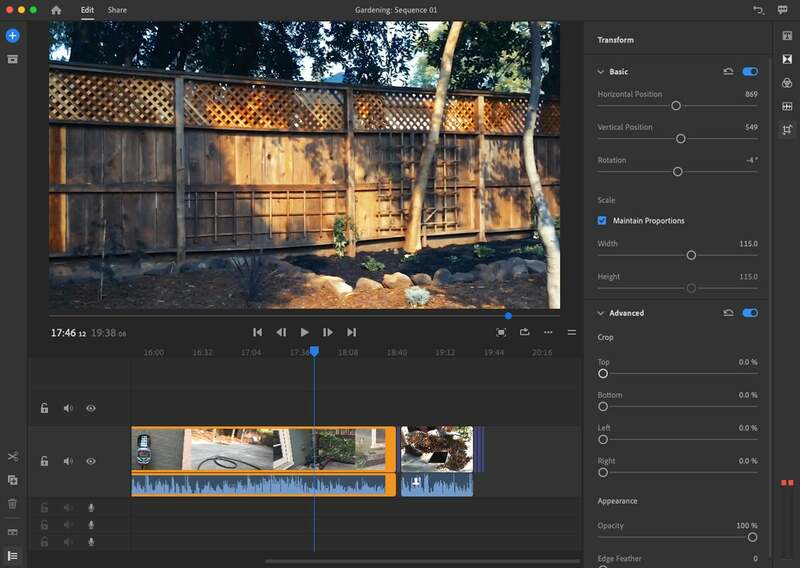 Rush, powered partly by Adobe’s Sensei artificial intelligence framework, is compatible with the latest version of Premiere Pro. It’s hard to distinguish the iPad interface from the desktop app. This is on the iPad. Rush is super simple to use. You can shoot video from within the app on your mobile device or you can import video from your Camera Roll. Either way, your movie shows up in Rush’s project panel. 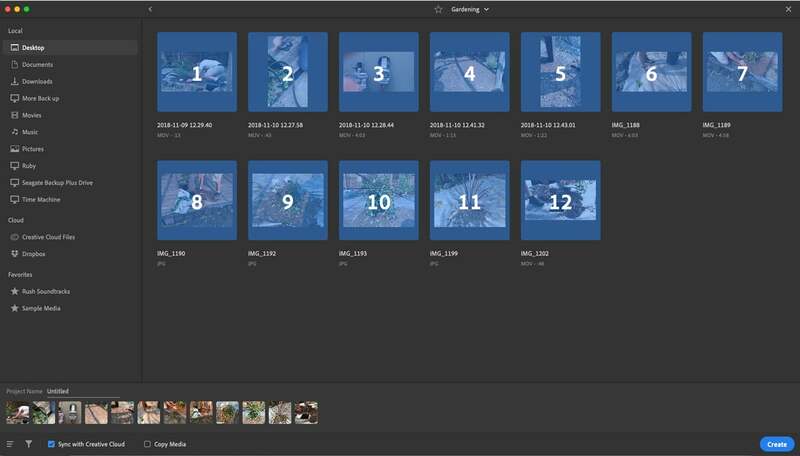 As you choose which video, audio and images to include, each item shows up in a storyboard layout at the bottom of the window, letting you visualize and adjust the sequence of assets in your project. You can access project assets from any device or online source, such as your hard drive, Creative Cloud, Dropbox, Google Drive, or iCloud. Rush is easy to learn, and it gives you plenty of control over your creations with its motion graphics templates, audio features, and ability to tap into your Creative Cloud library and Adobe Stock. 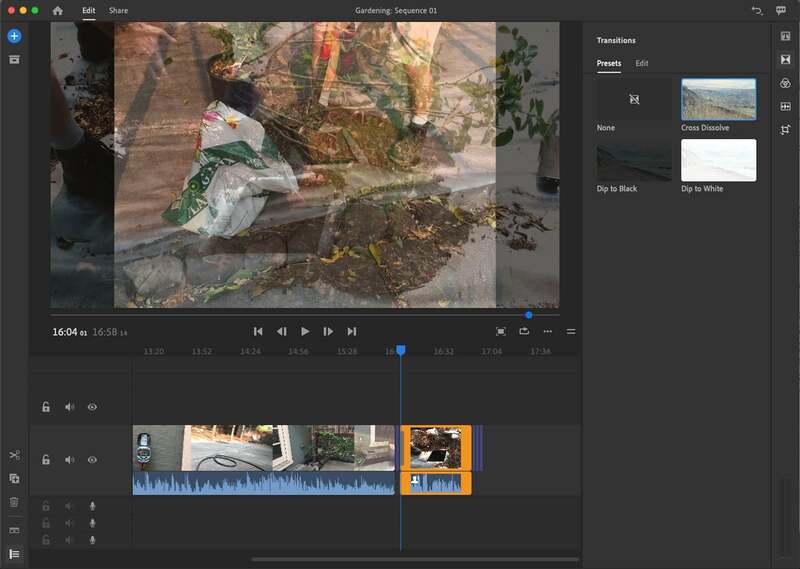 You can capture, trim, change clip sequence, color-correct, record voiceovers, and add color filters and text overlays. 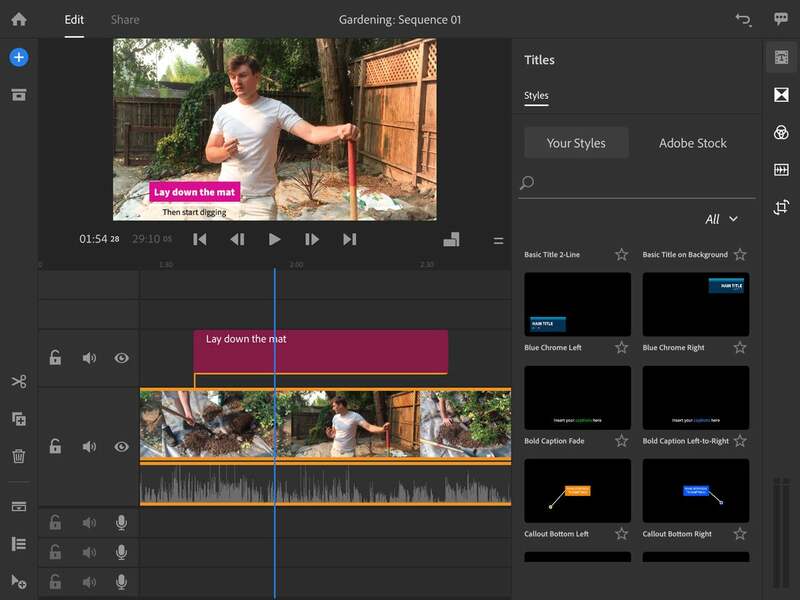 Adobe builds in four video and three audio tracks. You can polish your audio and choose from an assortment of animated motion graphics titles and a few essential transitions. Color presets give your movie just the right overall look. The interface is intuitive enough that if you do a bit of clicking around, all the features are exposed, though a built-in tutorial is worth taking a few minutes to go through. You’re not going to make a feature film with Rush, but you can quickly throw together a respectable travelogue, commentary, or instructional video in a matter of minutes and adjust it to any social media output format you need. With the click of the mouse, you can alter your aspect ratio from portrait to square to landscape and back again. Rush does most of the work of providing one-click social sharing complete with export optimization options for YouTube, Facebook, Instagram, and more, making posting quick and easy. With one click, you can share to various social media platforms—just make sure you’re already signed in. Video output with Rush can look quite professional as the program features a selection of motion graphics and audio mixing capabilities. Nearly a dozen color grading presets impart different looks and moods to your movie. 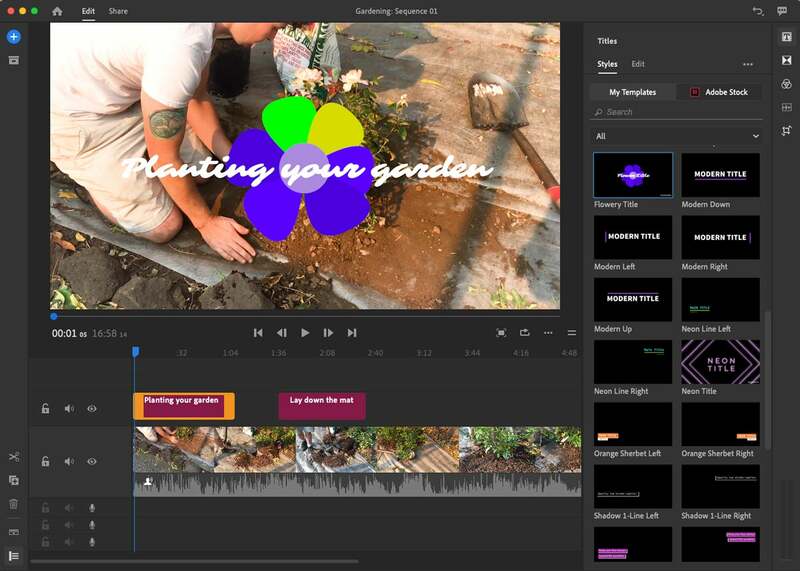 Premiere Rush CC comes with built-in, customizable motion graphics templates, but you can also download and adjust additional ones from Adobe. The app lets you adjust exposure, contrast, shadows, temperature, vibrance and more, and built-in tools let you add effects like Faded Film, Sharpening, and Vignette. You can combine these elements into a custom preset. Rush has a limited number of audio controls, but they are the most useful ones. The app also comes with a small number of royalty-free soundtracks that you can import for use in your video, though you can also use your own music or record a voiceover. You can't directly adjust the wave forms to change volume nor can you detach the embedded audio. But you can adjust or mute the volume, balance the sound, lower echo and background noise, and emphasize voices. An auto ducking feature can automatically lower music volume when people are speaking. As a debut product, some Rush features seem spare. There are only three built-in transitions, albeit the most commonly used ones, but it would be nice to see more added in the future. 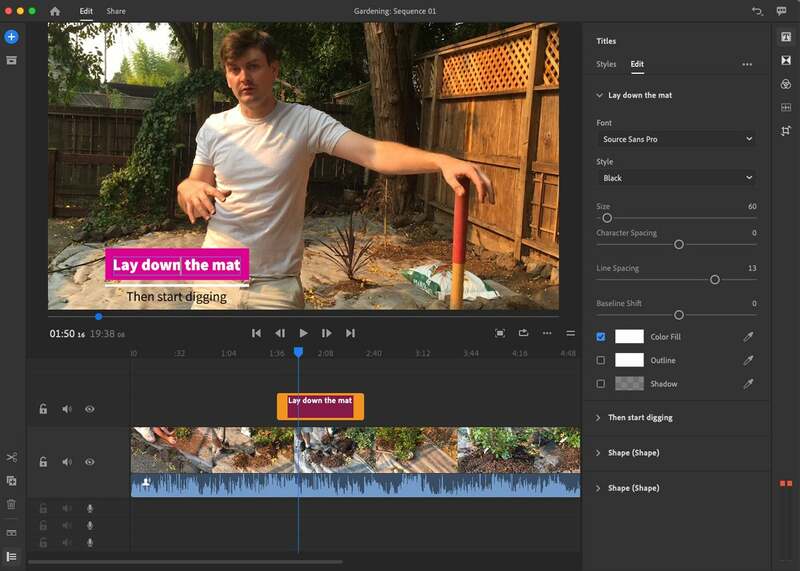 Video features that are popular in other consumer video apps, like green screen, clip speed adjustments, freeze frame, and motion tracking are absent from Rush's debut version. Adobe Premiere Rush CC has only three built-in transitions. Rush can be a bit slow on the uptake in letting you view video previews, both on the desktop and within mobile devices. When searching for videos to use in a project, it can take some time for the previews to show up. 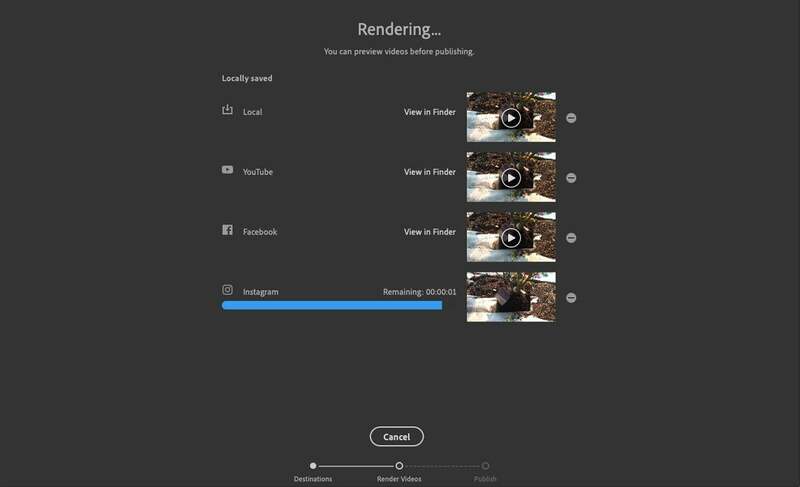 Rendering was on the slow side too, while the program offers an option to pre-render to snap up video playback. 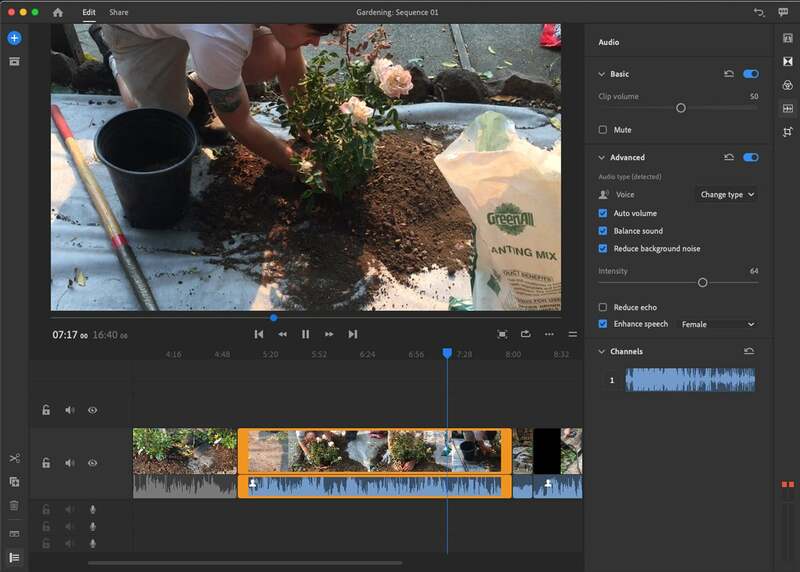 Adobe Premiere Rush CC has a lot going for it, especially in a world of instant video posting to social networks. Including it in the Creative Cloud subscription ($52.99 per month) and in the individual Premiere Pro subscription ($20.99 per month) makes sense, but an individual subscription costing $9.99 per month seems steep. If you think Rush can solve your problems, try out the free Starter Plan, which gives you three exports and 2GB of server space. 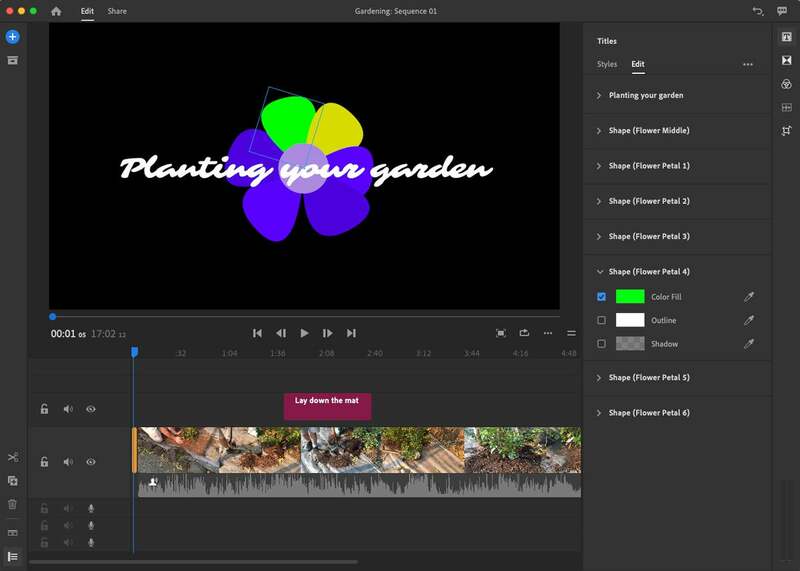 For most video creation and sharing on the Mac, without a Creative Cloud connection, social media moviemakers can always rely on the free iMovie and iMovie for iOS as a great choice.